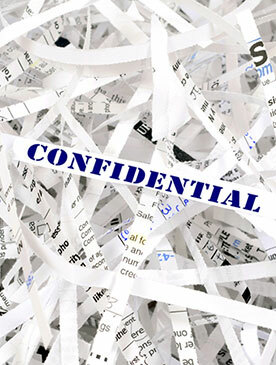 Action Shred of Texas is your source for secure document shredding in Dallas. We’re a family owned and operated company that has served the document shredding needs of businesses and individuals in the Dallas / Fort Worth area for over a decade. Our mobile and off-site document shredding services have made us the go-to shredding company for businesses that demand the highest levels of security for their sensitive document destruction. We make document shredding safe and easy by offering drop-off shredding services at our state-of-the-art shredding facilities, and convenient mobile document shredding services at your home or business. When you choose Action Shred of Texas for your document shredding, you’ll have the peace of mind that comes from knowing your sensitive documents are being safely handled and destroyed by our team of highly trained and background-checked shredding professionals. Our shredding facilities are equipped with an always-on closed circuit camera system that ensures strict adherence to stringent HIPPA chain of custody requirements. We are also one of the only document shredding companies in Dallas to undergo routine Certified Protection Professional (CPP) inspections. At Action Shred of Texas, we understand that your business is unique, and so are your documents shredding needs. That’s why we take the time to get to know your company and recommend the shredding services that meet your specific needs. Call us today at 214-702-3526 to learn more about eco-friendly, HIPAA-compliant document shredding in Dallas by Action Shred of Texas.